Of course some people think that one has to own a boat or be in the Navy to have nautical things around. However, most of us know that is certainly not the case. Many of us live near the water and decorate our homes accordingly. 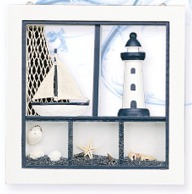 Many others just like the sea and like having a nautical design at home. 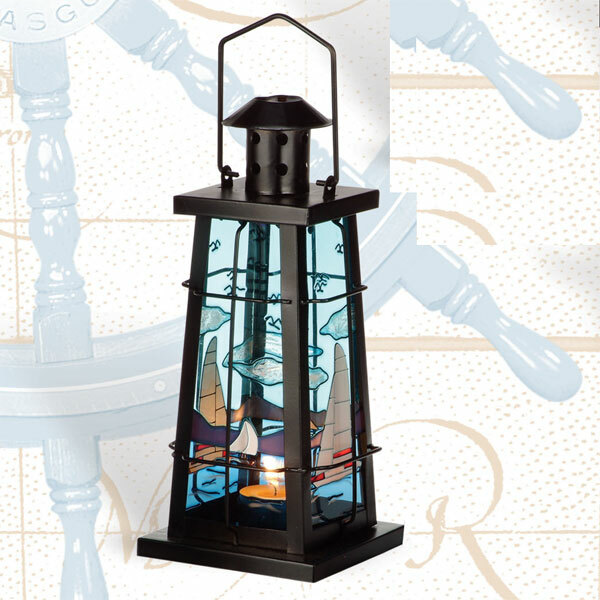 Lighthouses are also a favorite in many homes and that is certainly a nautical theme. 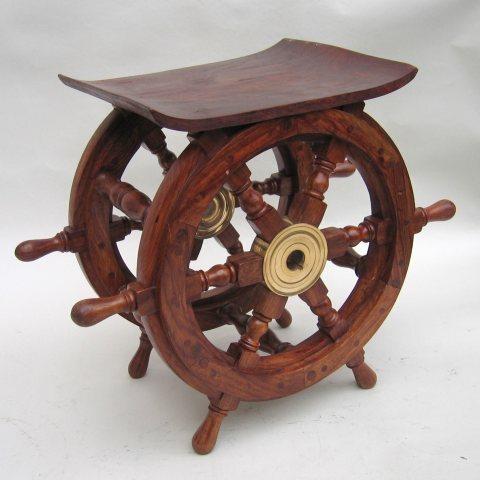 Robin's Dockside Shop has many fine nautical decor items to fit every taste. 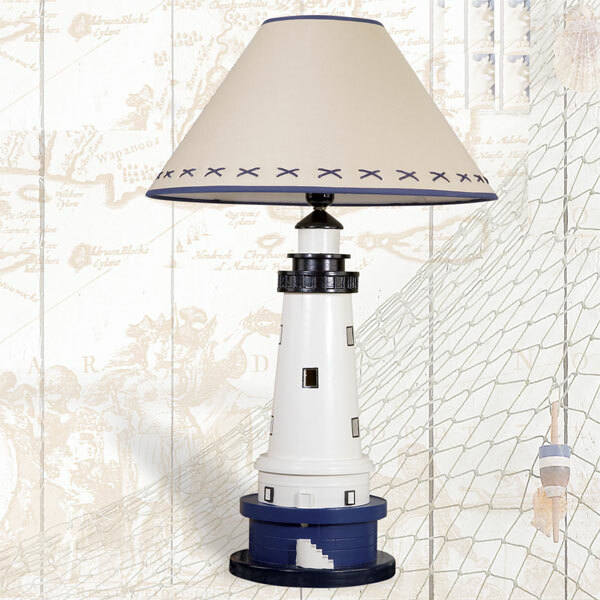 Add a touch of light to your nautical decor with a table or bedside lamp. We have many styles to match your theme. 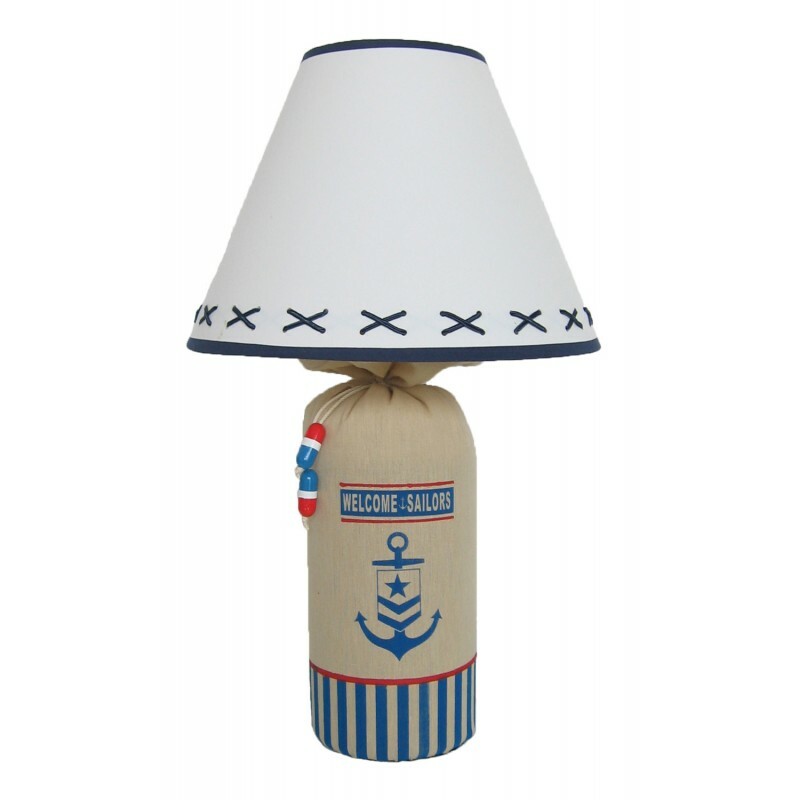 The classic sailors table lamp. Solid hardwood model sailboat mounted on solid mahogany base with brass trim. Three models to choose from. Our very own nautical creation, fabricated in-house. 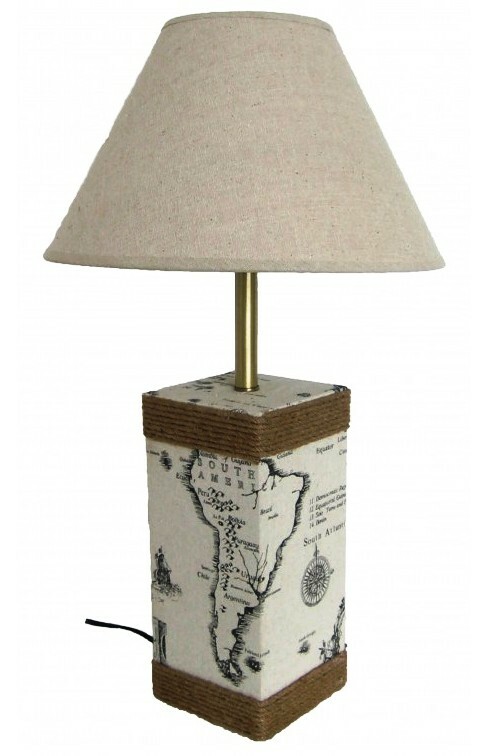 Lamp is 24" tall with cotton drum shade. Measures - 72" h x 25" w x 10" deep. 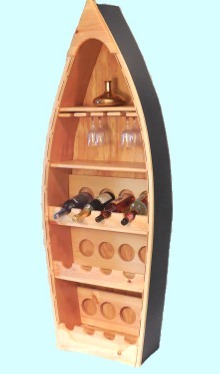 Solid wood Rowboat Bookshelf. Hand made by local craftsman. Not imported. Solid pine with 4 shelves. Natural wood with blue outside hull. 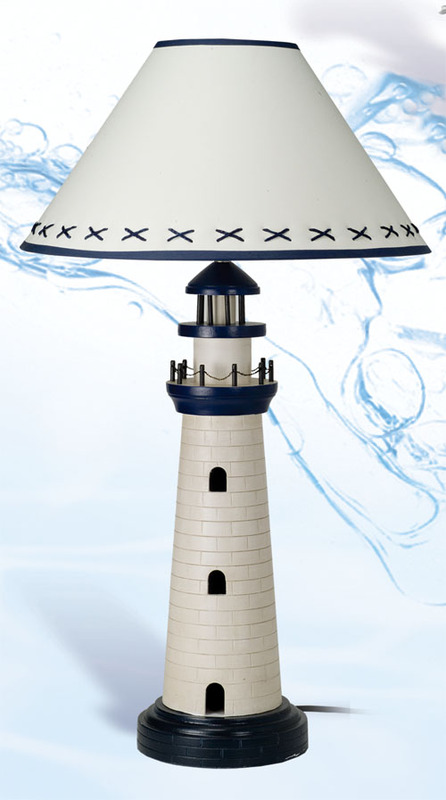 Hand painted wood and ceramic medium tall lighthouse table lamp. Comes with hand stitched shade with cotton rope border. Great nautical table or desk lamp. The Captain's Friendly Light. 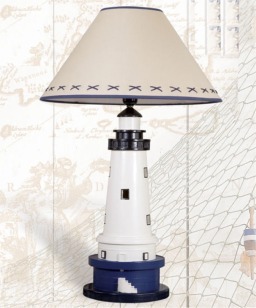 Handsome hand painted wood and ceramic lighthouse table lamp with round shade has hand stitched blue cotton line. 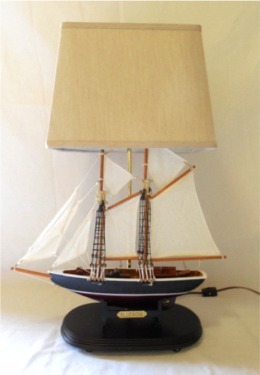 The classic sailors table lamp. Solid hardwood cutter model sailboat mounted on solid cherry base with brass trim. Our very own nautical creation, fabricated in-house. Lamp is 22" tall with cotton drum shade. Our very own creation. 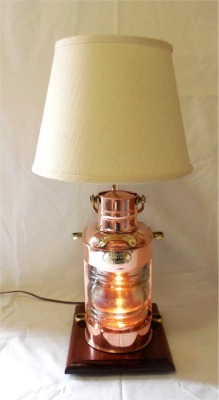 Solid Copper Look-Out Lamp mounted on a solid mahogany base with 3 position table lamp socket. Hand made by our craftsmen in the U.S.A. Very handsome nautical piece. Our very own creation. Solid Brass Anchor Lamp mounted on a solid Red Oak base with 3 position table lamp socket. Hand made by our craftsmen in the U.S.A.
Another Robin's Dockside Shop exclusive. Made in our own shop. 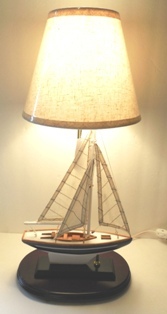 Finely detailed sailboat models made into great table lamps. Sailboats are hard and soft woods with cloth sails on a white pine wood base. Buy the set or individually. Tall tin lighthouse candle / electric lamp. Very attractive hand painted Cape Hatteras lighthouse set on a beach pebble base. Centerpiece for table or deck or nice bedside TV lamp. 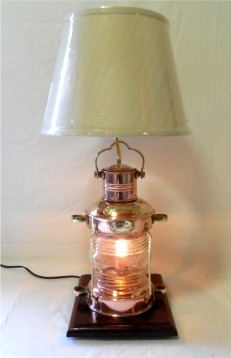 A very nautical style table lamp. Printed old world chart on parchment with hemp rope wrapped around a wood base. 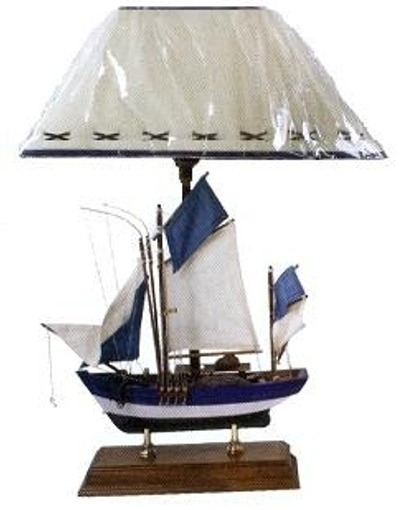 A Very maritime table lamp. An excellent model fishing sailor in a very detailed table lamp. Hand assembled and painted with cotton sails, nylon rigging and mounted with brass stays to a solid hardwood base. 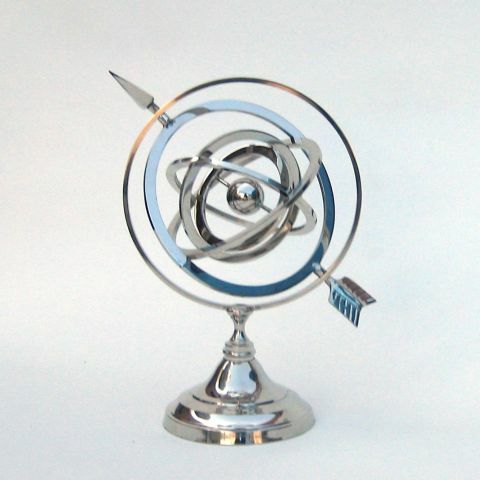 Solid brass armillary globe in gleaming nickel plate. 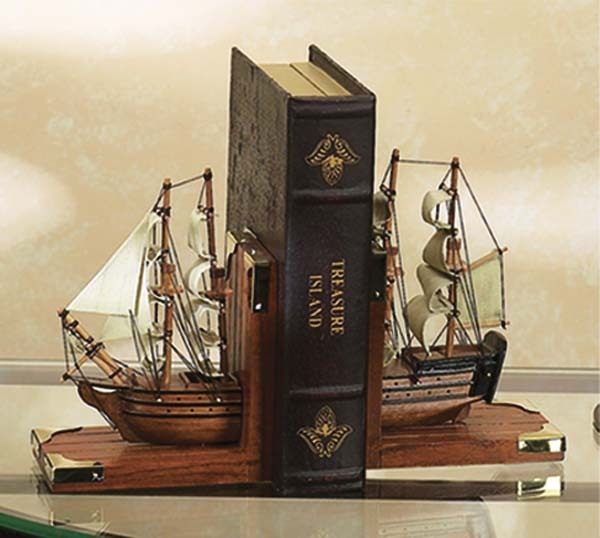 The consummate piece for every serious nautical decor. 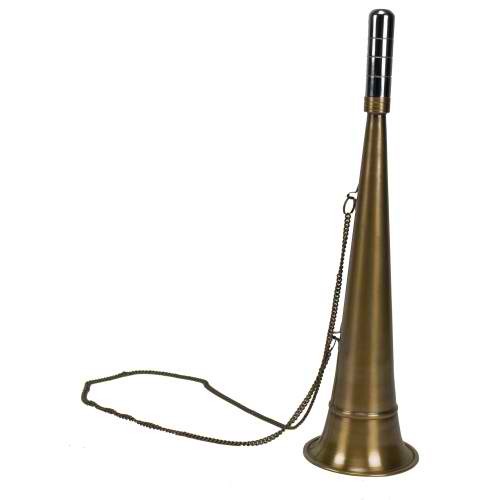 Antique brass Fog Horn with bosuns' chain. An item reminiscent of the days before automatic electric fog horns. Try to keep this away from your grandchildren. You sail the 7 seas and come upon a pretty sailor girl looking out to sea. Hand painted poly-stone figurine is perfect for the lonely sailor on your list. We are members of "Ships Company"